We are totally in love with our bungy pump walking poles!! Our PT and pain clinic doctor agree that it is super exercise for both my husband and I. We are 71 years of age and love the ‘burn’ we can get in our upper bodies. These turn walking into a safer and more thorough workout. 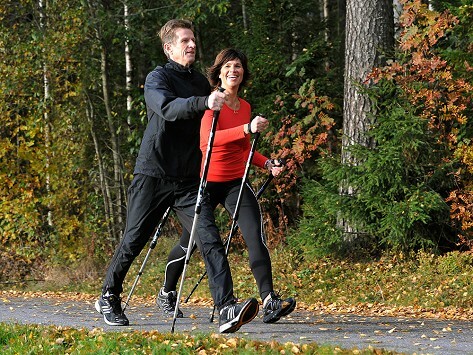 I walk on uneven terrain and they keep me upright, improve posture, and add a little bit of upper body workout. Have used them every day since I purchased them months ago. I bought these to use with my physical therapy program after having back surgery. Helps me build upper body strength as I am walking to build up my back muscles that have been compensating for a bad back for many years. 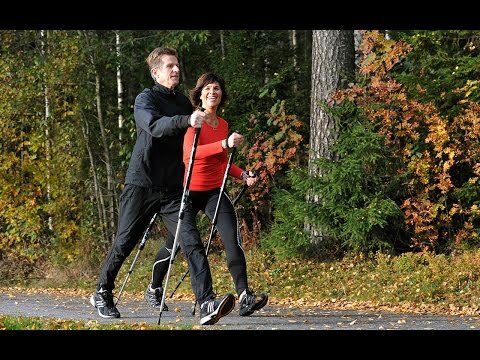 I've been looking for these poles for a while and i like what they do to whole body workout for just walking. I enjoy these poles so much & the fact that they have Springs that work my arms is a definite plus. I have had a couple surgeries lately & being able to get back out with my poles, which add an element of safety, is so enjoyable & good for me. Thank you!! Love my BungyPumps!! It’ll take some practice to make my stride smoother but it gives you an awesome cardio workout!!! Adds another element to my walk. I don’t have to try and find time to work out upper body. Feels great to do it all at one time.